News and videos to improve the strength and vigor of all your direct response marketing activity. See how this year’s trends can help health insurance plans stay ahead of the curve — and get measurable results! When people think of advertising they’ll often think first of TV, then big banner ads, paid social media, or anything that’s creative, emotionally striking, and with somewhat exaggerated claims. While that’s partly true, the end goal for advertisers/marketers is getting prospects and customers to take an action – and preferably now! That’s when direct response enters the picture — and puts the value proposition and a compelling call to action all in one package. It gets even trickier in a heavily regulated industry category such as health care marketing because of the numerous compliance obstacles and competitors (regional and national). But the year’s Top 5 trends can help any marketer stay ahead of the curve because they’re effective (and proven), trackable, measurable, and targeted. 1. Social messaging apps are fast becoming useful marketing platforms. 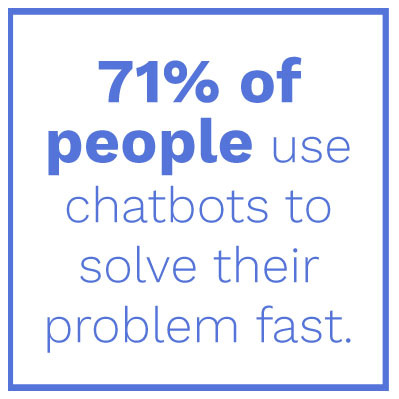 This is true for all market segments, including the Medicare audience, where chatbots allow prospect plan members to ask quick questions and make simple inquiries online. It’s a convenient way to start the sales conversation. 2. Smarter content wins customers. It’s no surprise that demand has shifted to content marketing that communicates with impact. How else can you create a meaningful connection with consumers? When your content extends beyond education and community building and has personal relevancy with target audiences, it does more than help with recall of your brand messaging. It helps move shoppers through their sales journey. Creating smarter content is easier than knowing how to get the best value from it. Be sure your content aligns with your overall brand message and marketing goals — that helps direct targets to do what you want them to do. And, always create mobile-friendly content — for all consumers, from Millennials to the 65+ Medicare crowd — and leverage it across channels. 3. Optimize design and messaging for mobile to get personal. The new standard for direct response marketing is the fastest, most efficient way to connect with consumers. Virtually every demographic is now more inclined to use cell phones for all types of communications. People are on the go and need quick, convenient access to all kinds of product/service information. The biggest advantage with mobile is that it can help you open a sales channel that’s easily personalized. 4. Location-based marketing equals great direct response marketing strategy. You can target as well as track and report a person’s location in real time. Not only will this lead to a tighter niche audience, but it’s also a smart, efficient way to turn quality data into actionable consumer insights. As mobile use becomes more prevalent among consumers, location-based marketing will follow. Always test and evaluate different engagement metrics to ensure you’re reaching your audience at the right time, with the right message, in the right place. And, always be open to making adjustments and optimizations. 90% of consumers say video can be a deciding factor in purchases. 5. Video speaks louder than words. Video not only resonates with your target audiences, it’s also a powerful tool that helps increase understanding of your products or services, and motivation to act! DMW experienced that first-hand when launching a new Medicare plan. And the more mobile usage grows, the more video will be the content of choice among consumers — including those searching for health care information. Plus, well-crafted video can increase traffic to your website, promote the all-powerful “sharing” phenomenon, and even drive incremental sales. Continue to personalize your marketing — and your messaging. Direct response has always been about getting personal — a one-on-one communication that engages and motivates to generate leads and sales. Today’s digital technologies provide the tools that allow new ways to personalize and gain more attention from target audiences. Retargeting display ads can be served up to individuals who’ve shown interest in your website or other online content. This can lead to a higher increase in clicks, calls, and purchases (aka enrollments in health care marketing). If personalization is done well, it promotes an increased sense of brand trust and credibility and improves the consumer experience. At DMW, we’re always keeping up with the trends so we can stay ahead of the market. That’s how we can better understand target audiences, gain competitive insights, and help clients grow their business. Ready to put the latest technologies and strategies to work for you? We’re just a call or click away. 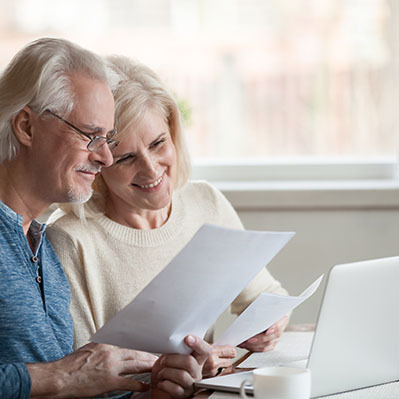 Medicare plan marketers: ready for the next AEP? Make sure — download the 7-Point Action Checklist today! 1 “Why chatbots are the future of m-commerce,” Apiumhub, June 2018. 2 HubSpot Content Trends Survey, Q3, 2017. Launching a new Medicare plan is not rocket science. But close. Preparing for a marketing campaign is like preparing for a storm. Ready to see some direct results from your next marketing campaign? You want results. We make results happen. © 2019 DMW Direct, all rights reserved.